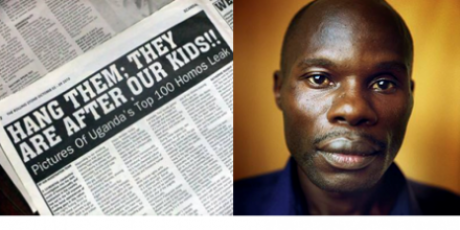 Avaaz - Uganda's anti-gay bill -- Stopped! Uganda's anti-gay bill -- Stopped! We stand with citizens across Uganda who are calling on their government to withdraw the Anti-Homosexual Bill, and to protect the universal human rights embodied in the Ugandan constitution. We urge Uganda’s leaders and donors to join us in rejecting persecution and upholding values of justice and tolerance. Above: Avaaz friend David Kato, brutally murdered in Uganda 2 months ago. Great news -- the bill has has been shelved! Together, we've won a major fight for equality and justice. Over 1.6 million of us signed the petition opposing the anti-gay bill, tens of thousands of us called our heads of state, and we helped make the attack on gay rights in Uganda a major international news story -- and it worked. Today, under intense global pressure, the Speaker of the Ugandan Parliament blocked the anti-gay bill from coming to a vote in the emergency session. Now Parliament has closed and the bill has been wiped from the books. It's not necessarily gone for good, but to be considered again, it would have to be reintroduced as a new bill and go through the whole Parliamentary process -- which took 18 months last time. Our global outcry made it clear that the world is watching, and demanding that human rights be respected everywhere. Today, we can join activists in Uganda in celebration of a victory that could save thousands of lives. The pressure is working -- the bill did not come to a vote today! But the anti-gay movement is fighting to bring it back in an emergency session on Friday. Our signatures are being delivered directly to Uganda's Parliament and media across the world are reporting on our campaign. Let's ramp up the pressure -- if we can stop a vote on the bill this week, we'll win this! In 24 hours, the Ugandan Parliament may vote on a brutal new law that carries the death penalty for homosexuality. Thousands of Ugandans could face execution -- just for being gay. We have no time to lose. Let’s get to one million voices against Uganda's gay death penalty in the next 24 hours -- sign now then spread the word about this campaign!